Children’s Hospital Los Angeles (CHLA), founded in 1901, is ranked the 5th best children’s hospital in the U.S and has also been named the best children’s hospital on the West Coast. They provide more than 104,000 children with pediatric health care in a setting designated to their needs. Their mission includes: 1) compassionate patient care, 2) leading-edge education for the caregivers of tomorrow, and 3) innovative research efforts that impact children at our hospital and around the world. CHLA is a nonprofit hospital that depends on generous donations to help heal children in an environment that lets them thrive. The support from our Alpha Phi chapter helps support the breakthrough therapies and treatments that save young lives each year, specifically as they pertain to their Heart Institute. To view the CHLA website, click here. The Alpha Phi Foundation was founded in 1956 and Alpha Phi was one of the first sororities to establish a Foundation. The Foundation is an important funding source of education in women’s cardiac health, leadership development, and philanthropy. In 2010, the Foundation completed the largest fundraising campaign in National Panhellenic Conference (NPC) history, raising ten million dollars in a campaign for leadership. To view the Alpha Phi Foundation's website, click here. Women's cardiac health is at the core of not only the Alpha Phi Foundation's, but the Zeta Beta chapter's philanthropy. In 1946, during World War II, a group of Alpha Phi's gathered together to decide on an international philanthropic cause. Inspired by successful Wartime projects, they wanted to choose something that could have a positive influence throughout the United States and Canada. The leading killer of children in America at the time was rheumatic fever - a disease that severely damages the heart - and the women of Alpha Phi wanted to work together to find a cure, thus adopting cardiac health as our international philanthropy cause. Nowadays, a different cardiac health problem is the central focus of the Alpha Phi Foundation- Heart disease, the #1 killer of women in North America. 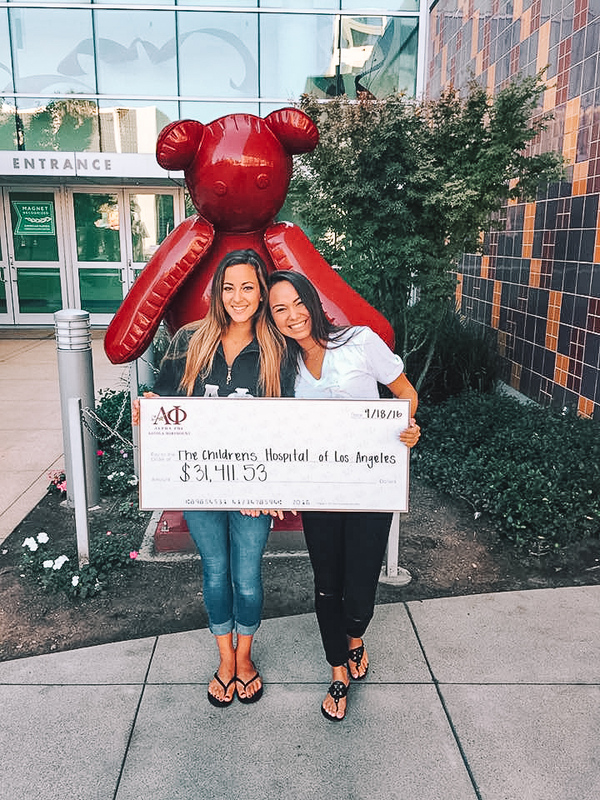 Through various philanthropic events, like Zeta Beta's Aphiasco, and fundraising opportunities, the Alpha Phi Foundation and Alpha Phi chapters from all around North America are working to fight this horrible disease and save women's lives. In the 2013-2014 school year, Alpha Phi chapters raised $2,000,000 to support the Alpha Phi Foundation. Some programs The Alpha Phi Foundation funds are the Heart to Heart Grant, which "funds research and educational programs that support the improvement of women's heart health" and the Take Heart, Take Part Education Initiative that "educate[s] communities and campuses across North America about life-saving CPR in order to save more lives from cardiac arrest".